I’m on the road (again) for work. So that means we’ll be having a guest bartender tonight, since I don’t have access to my usual liquors! This week I’m in Grand Island, NE — a town of about 45,000 people in south central Nebraska. This isn’t my first time here, as I was up here for a big corporate meeting January. But, this is the first chance I really had to explore the downtown area. 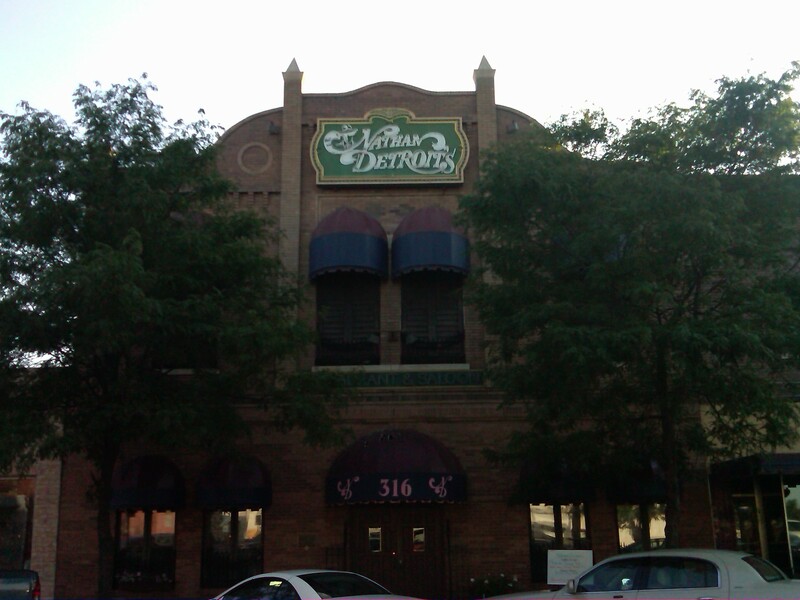 While driving this evening, I happened across an older building on the edge of downtown with a neon sign posted on the back — “Nathan Detroit’s”. Nathan Detroit as in Nathan Detroit from “Guys and Dolls.” Next door was a martini bar. It’s name? J. Alfred Prufrock’s. Broadway musicals AND T.S. Eliot poems? I had to stop. 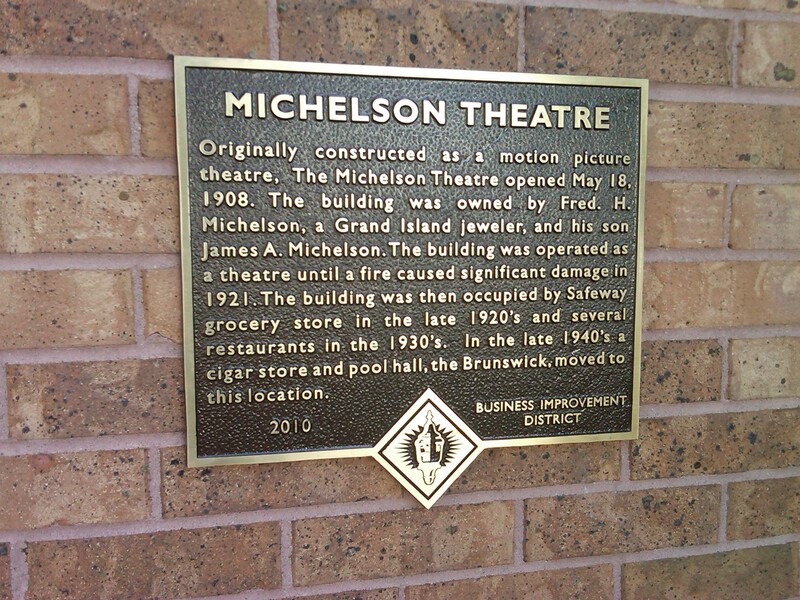 I was further impressed when I walked up to the door to discover that the restaurant was based in an old movie theater. Like early 1900s theater. Curiouser and curiouser, to quote Alice. I walked into the dim restaurant to be greated with dark laquered wood and polished brass as far as the eye could see. Very classy. 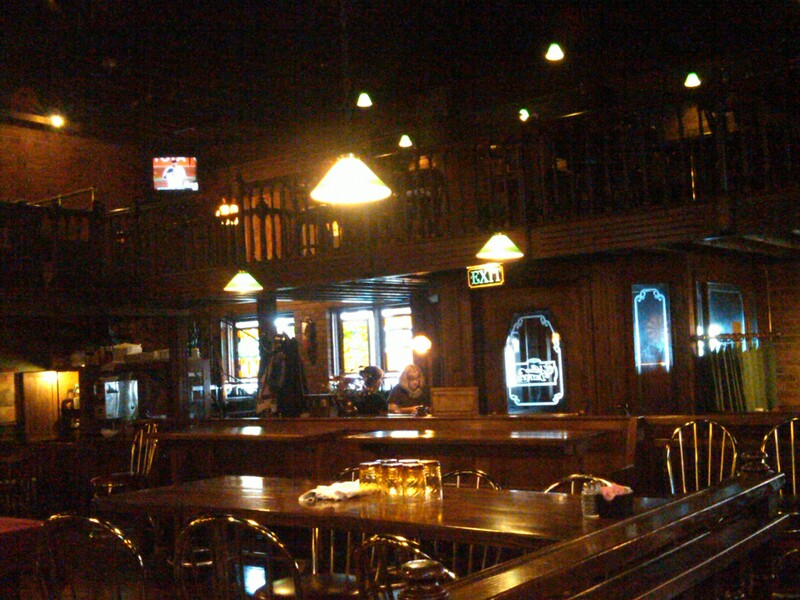 The bar itself had a very western, almost “pioneer” like look to it. And behind the bar was one TJ Frazier. TJ was nice enough to let me bug him for almost two hours, pestering him about the history of the theater, how he came to bartend in Grand Island, and about any number of liquors. Eventually, I got the point. I was interested if he had a “signature” drink, per-se. Something that wasn’t on the menu. Something that he might like to make. TJ’s story is pretty interesting. He’s originally from Grand Island, spent some time in the military, then returned to the bar where both his parents once worked. 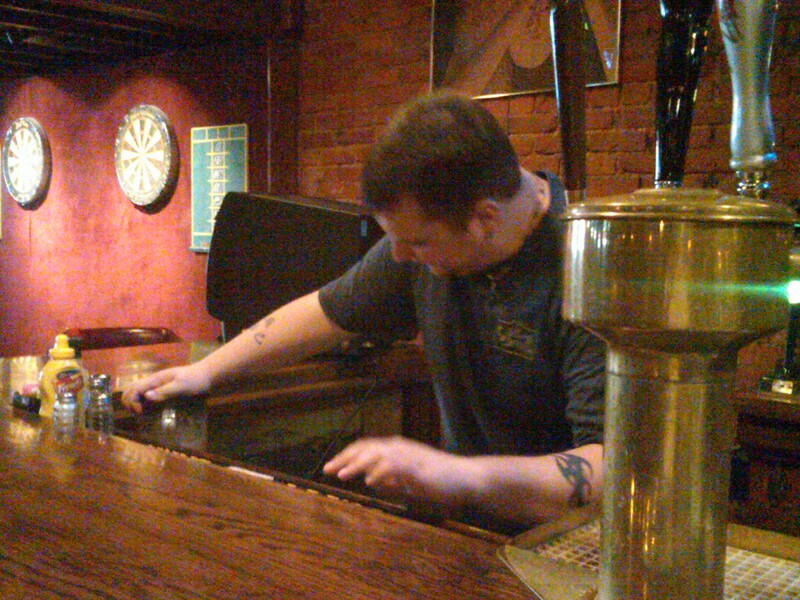 He’s been one of the men behind the bar at Nathan Detroit’s for the past four years now. This former Army guy (Iraq veteran, too. Much respect man. You’re much braver than I), was more than happy to oblige. In fact, he said, there’d been a good dozen or so he’d been kicking around in his head for a little while. He decided to serve me up two seperate ones that have proven popular with Nathan Detroit’s patrons. Build in a highball glass filled with ice. Stir several times then serve with a lemon wedge and maraschino cherry garnish. Holy sweetness, Batman! If that sounds like an awful lot of sweetness packed into a little package, you’d be right. But it works. Much like I offer up warnings with the super strong, bitter drinks I tend to like, I’ll offer up a similar caveat on the Kookamunga. This is really, really good. If you like sweet cocktails. You can’t taste the liquor in there, which can be a dangerous thing. But, it was a good balance of flavors overall. Like I said, those of you who like sweet drinks will love this one. Those who don’t, probably not. Homer and Jethro, Battle of Kookamunga? Hell yes. 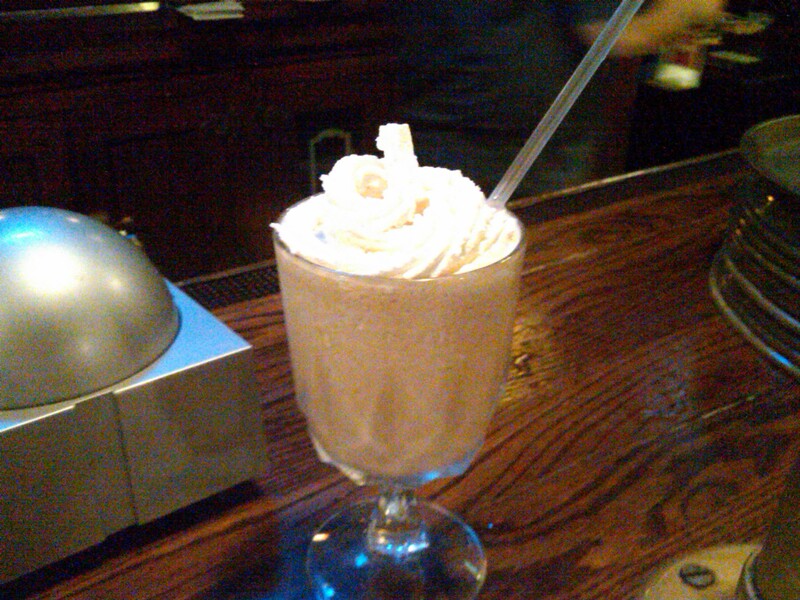 The second drink was a dessert drink, so he decided to hold off until I had finished my meal (a killer burger with pepper jack cheese and guacamole) before he served that one up. 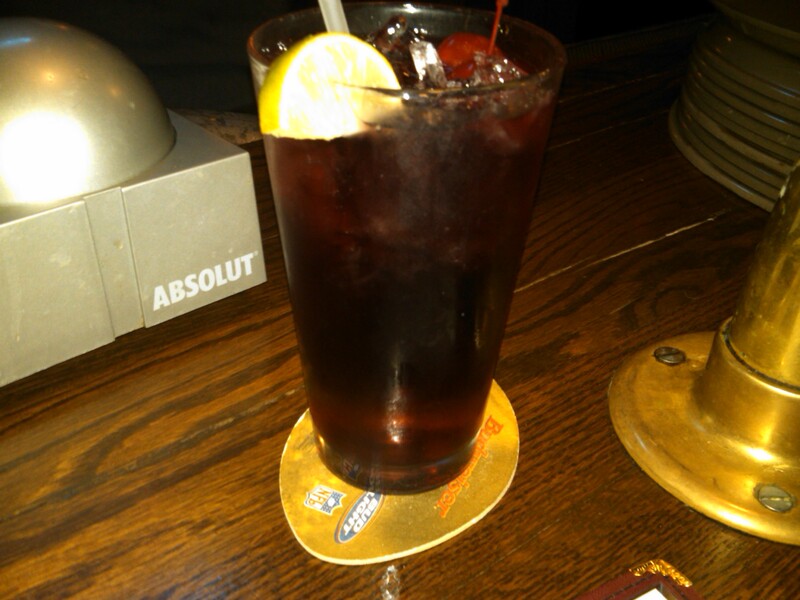 Which brings me to my second drink for the evening. Combine your ingredients in a blender, blend until slushy, serve in a glass, topped with whipped cream. This one is excellent. Very cool and refreshing, especially when you consider the heatwave that’s been hammering the Midwest the past couple weeks. It has a very cooling, almost coffee-like flavor. The first thing I thought of when I sipped it — pumpkin pie. TJ told me he also makes a hot version of it for winter weeks. I was suitably impressed with the Enchanted Frost. 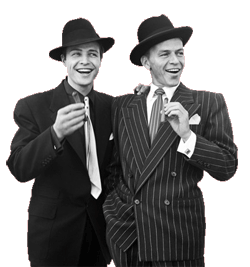 It was a the prefect dessert cocktail — sweet, but not saccharine and very easy to drink. My deepest thanks to TJ and all of the staff at Nathan Detroit’s for letting me stop by and take up a good chunk of their time on a Wednesday evening. The food, hospitality and drinks were all excellent. 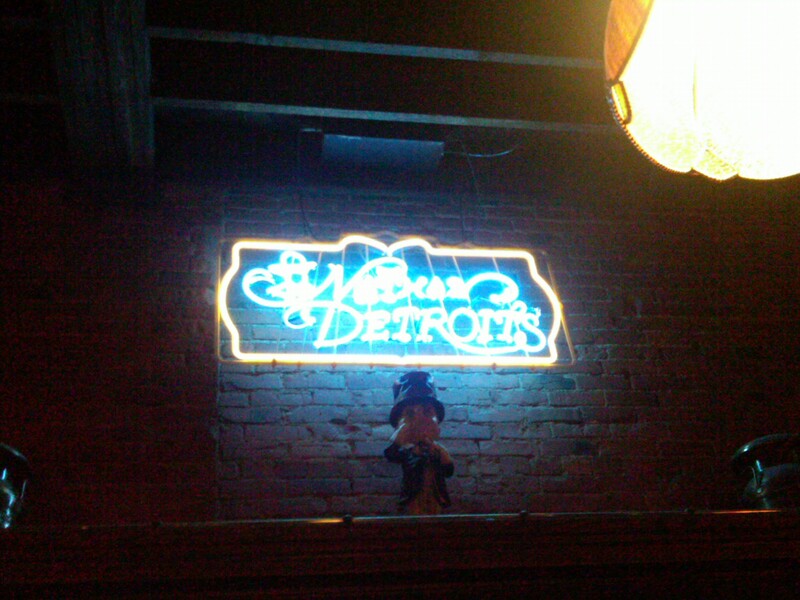 Next time you’re up Grand Island way, swing by Nathan Detroit’s and say “hi” to TJ for me!